Take Exit 4 from I-80. Turn Left at the top of the ramp and follow the road around to Cabela's located on the left. We will be in the north eastern parking lot. 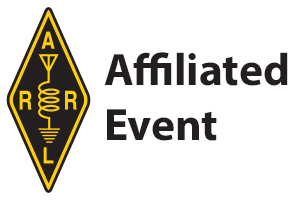 All proceeds go to the SNARS which provides support to maintaining and building out the repeater systems and amateur radio related events and education in Northwestern Nevada and Eastern California areas. Join Our Email Announcement List for future updates of Reno Ham Swap Events. The Reno Ham Swap is held yearly in May and September. The Reno Ham Swap is becoming a premier event for ham swappers in the Northern Nevada and Sierra Nevada Areas. The event draws over 25 unique ham swappers and over 200 attendees and growing. The event is hosted by the Sierra Nevada Amateur Radio Society, Inc.